the ZOE’s battery can be bought with the car or leased, with battery leasing beginning at £59 per month. In 2018, Renault was the #1 electric vehicle manufacturer in Europe with a 22% market share. The new version of the Renault ZOE is the company’s top-of-the-line option. The Renault ZOE S Edition replaces the earlier Signature Nav model with a host of equipment. Renault was able to squeeze it out with a small premium over the entry-level Renault ZOE Dynamique Nav. Among the above-mentioned features, Renault added leather and textile seats in its new ZOE S. The driver seat now has lumbar adjustment also. Customers can choose 16-inch ‘Black Shadow’ alloy wheels or upgrade to 17-inch ‘Black Optemic’ alloy wheels. 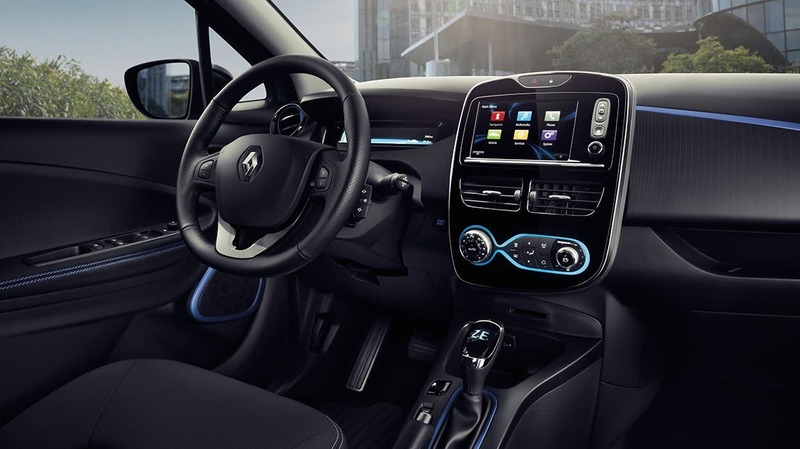 The Renault ZOE S comes with the company’s voice-controlled satellite navigation through an embedded 7-inch touchscreen tablet in the center console. It seems that last feature is now standard on all Renault ZOE vehicles. The ZOE can charge remotely through a smartphone app, and you can pre-condition (preheat or pre-cool) the car. Finally, Renault gives its ZOE drivers a choice of 2 electric motors for both the ZOE Dynamique Nav and the ZOE S Edition. The Q90 boasts 68 kW (91 hp) and 225 Nm (165.95). It offers a Quick Charge that gives it a 0 to 80% charge in 65 minutes with a 43 kW charger. The R110 motor has an extra 19 hp (14.16 kW), with improved performance between 50 MPH and 70 MPH. Both cars use the Z.E. 40 battery pack and have a WLTP-rated range of 186 miles. To entice new drivers, Renault ZOE throws in a free 7 kW wall box. *WLTP range is 186 miles. Renault estimates a real-life range of 186 miles in summer and 124 miles in winter.